Our Earthscope speaker explains how he found that small earthquakes even exist. Dr. Chris Marone, professor of geophysics at Pennsylvania State University, visited Missouri State University Nov. 16. Marone is part of the Earthscope speaker series, which aims to connect prominent researchers with students, faculty and the public. The goal is to promote a greater understanding of how the Earth works. Dr. Gary Michelfelder, assistant professor of geology, led the effort to bring the Earthscope program to the MSU campus. He spearheaded the application process, which involved describing the impact series would have on our existing undergraduate and graduate programs in geology, as well as our students and faculty. 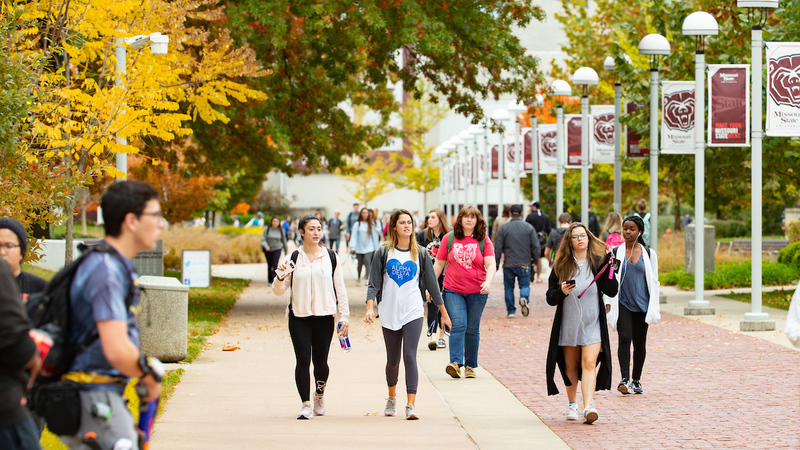 The public affairs mission at Missouri State is also an attractive fit for the goals of the Earthscope program and its purpose of educating the public about important issues in the Earth sciences. “Being selected to host an EarthScope speaker gives us the opportunity to host leading geoscientists in the field and fulfill our public affairs mission by educating the Missouri public about emerging issues in Earth sciences,” said Dr. Toby Dogwiler, department head of GGP. Marone spent the day talking about slow or small earthquakes. For many years it was thought that these earthquakes could not exist — then they were detected. Not much is known about these earthquakes. Marone is trying to discover how and why they are occurring. Marone also thinks that these smaller, slower earthquakes can trigger much larger ones. Dogwiler knows this is also a local issue. After the talk, Marone had one-on-one meetings with students and faculty. Earthscope paid for Marone’s travel-related expenses. We are grateful to be an Earthscope host and hear from groundbreaking scientists like Marone.